Hey there Peeps! 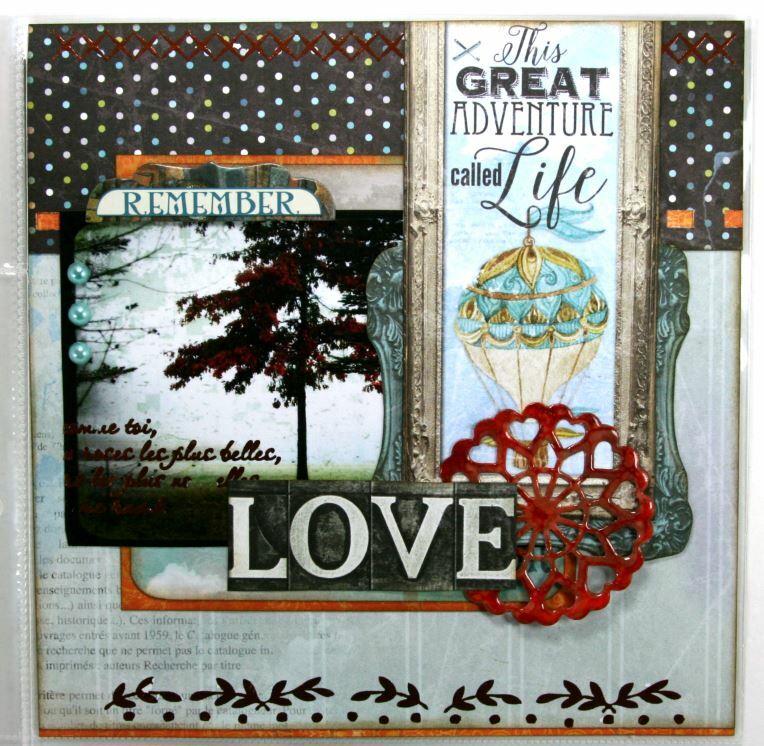 What a fun day for me to be sharing my first project with the fabulous new Life In Color Collection from BoBunny which is just so amazing. I had a blast mixing and matching the patterns with the embellies and some of my favorite pictures. I used a combination of the 12 x 12 papers and the Misc Me Pocket Squares to create an arrangement that is similar but different for each of the pages for this 2 page layout. 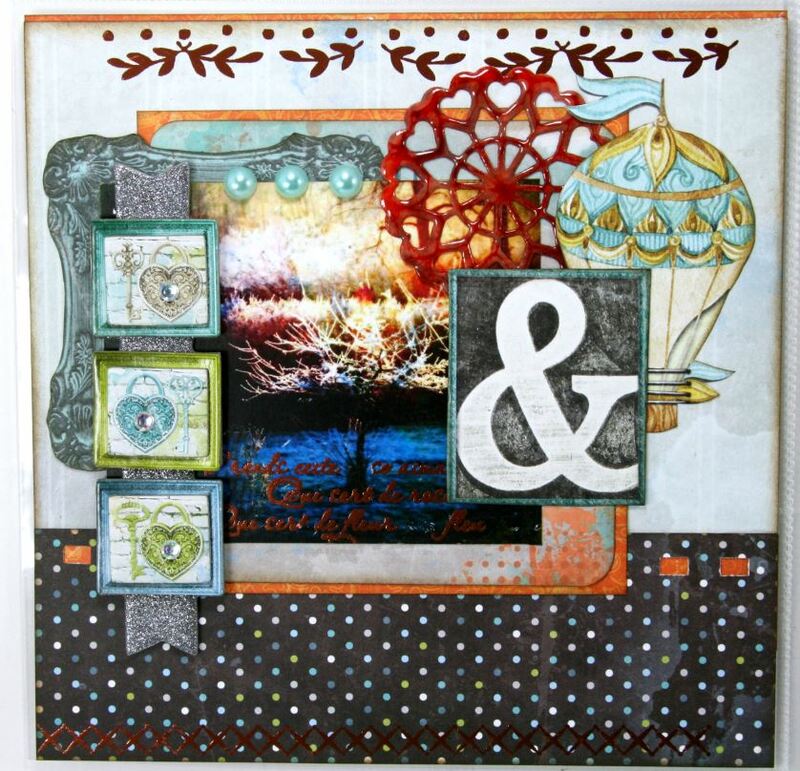 Once I had the placement of the papers and squares I added pictures and some fussy cut images from the 12 x 12 paper like the balloon and ampersand. I’ve also incorporated quite a bit of Foil Transfers for extra detail and a pop of shine. 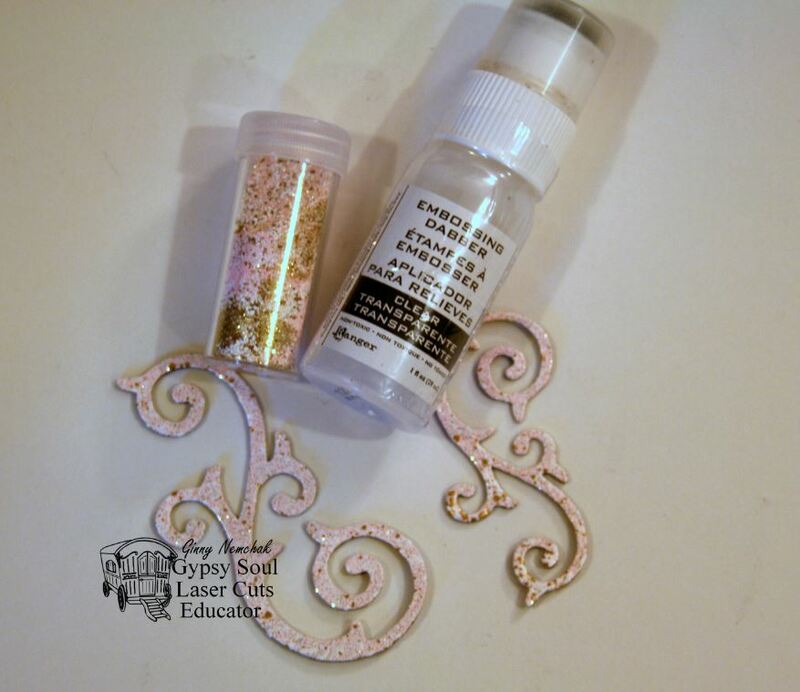 I created die cut embellishments that match perfectly by adding clear embossing powder to the die cut then heat setting it then adding a layer of Orange Pentart Glass Paint. Now it’s sooo shiny. Last but not least some Chipboard and Layered Stickers and Double Dot Aqua Jewels. Adding the Foil Transfer to the picture as well as the paper brings the detail to the center of the layout. This poor little tree from our front yard was frozen and sparkly and looked like it was coated in diamonds. To balance the rich color from the die cuts I added a bit of a border here and there and even punched the polka dot paper and backed it with the orange for a faux stitched effect. 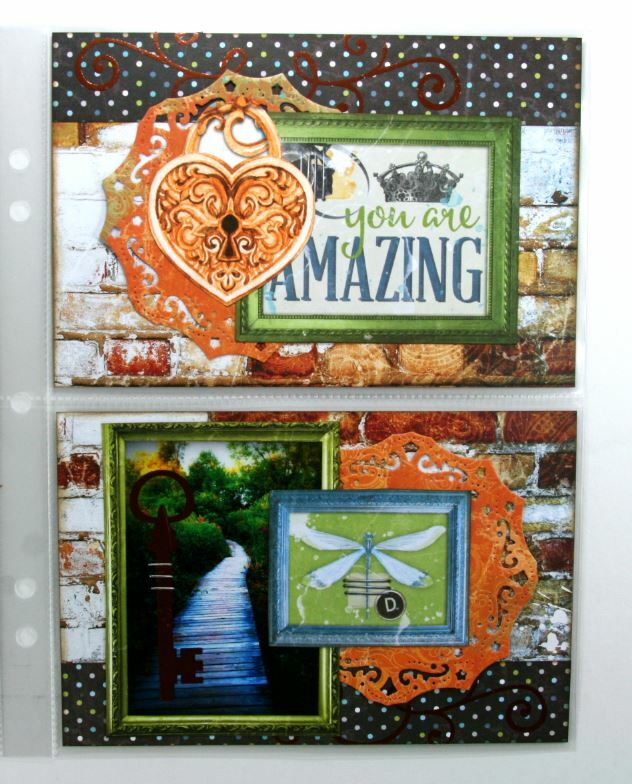 More of the polka dot paper for this set of pages but this time paired with the brick wall pattern. 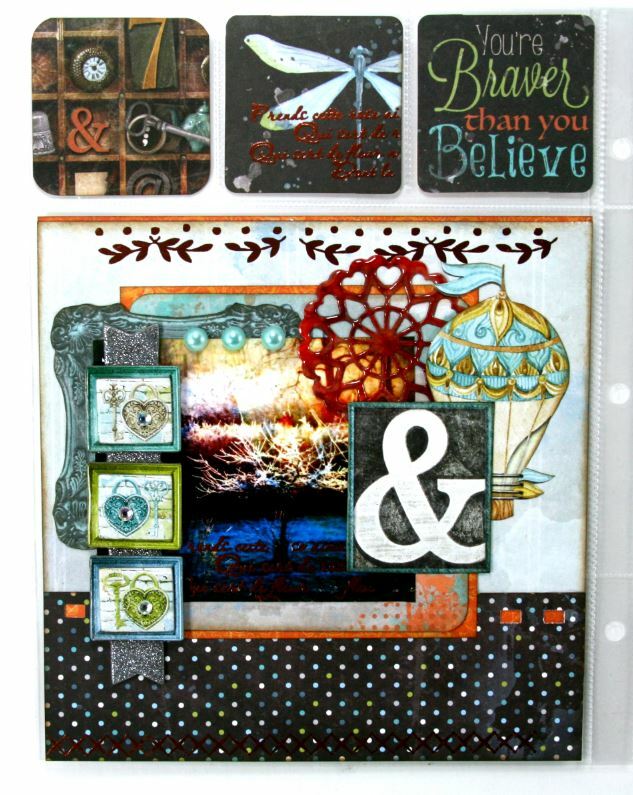 I’m also using the same package of Foil Transfers but this time choosing flourish shapes and a large sentiment to layer over the picture. 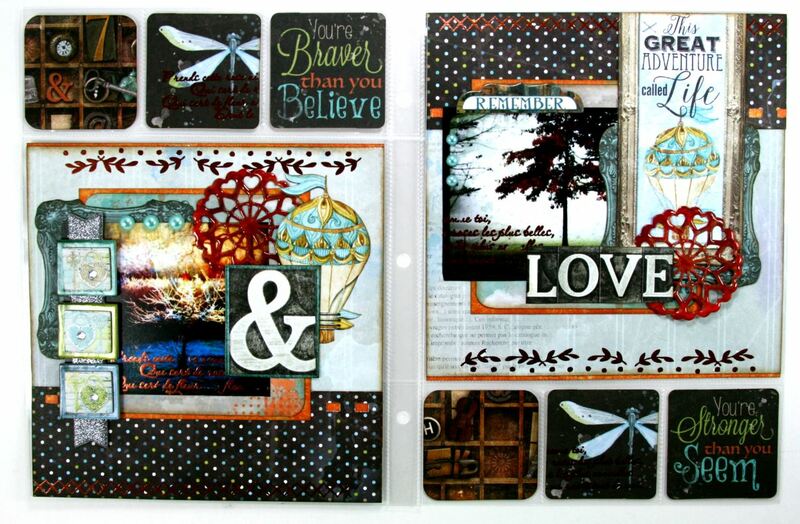 An orange doily die cut and some fussy cut images from the 12 x 12 paper and this layout is complete. One more picture…this time from our local hiking trail brings the greens to the right side of this layout set. 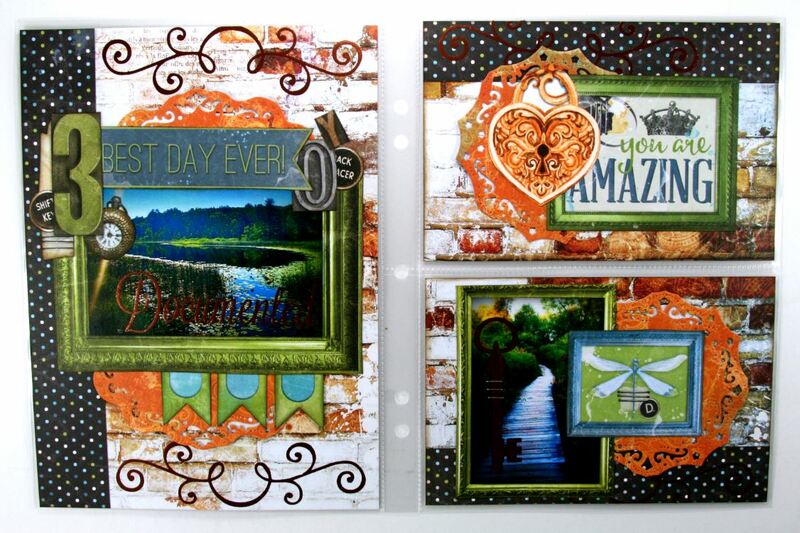 I’ve balanced it with additional doilies, a fussy cut lock and a couple of elements from the Noteworthy pack. The Foil Transfer on the polka dot pattern is a subtle but beautiful detail. Okay things I love about this project….first the paper is so awesome…second Foil Transfers are my new best crafty friend……third Glass Paint sticks to embossing so I’m adding it to everything from now on. Well hello the Peeps! I’m in the mood for a little Valentines how bout you? Of course I love it since there’s flowers and candies and sweet nothings. 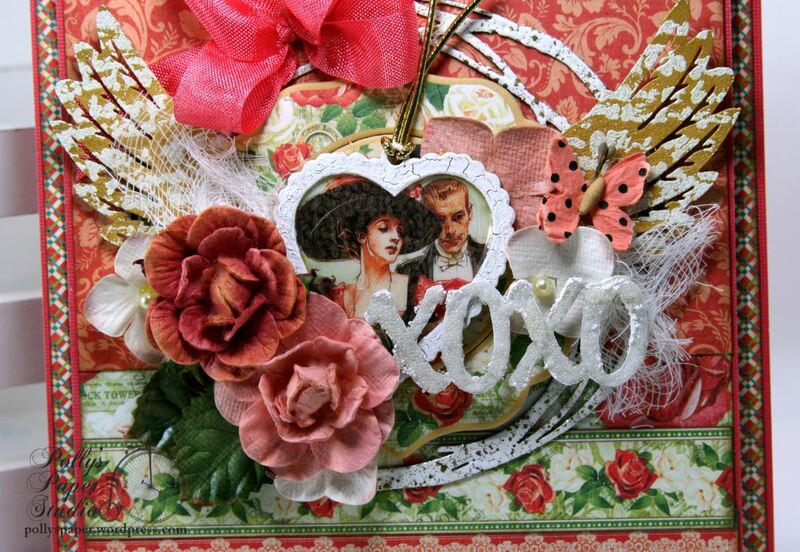 And who doesn’t love to create a Valentine card for their special someone to let them know how much you care??? 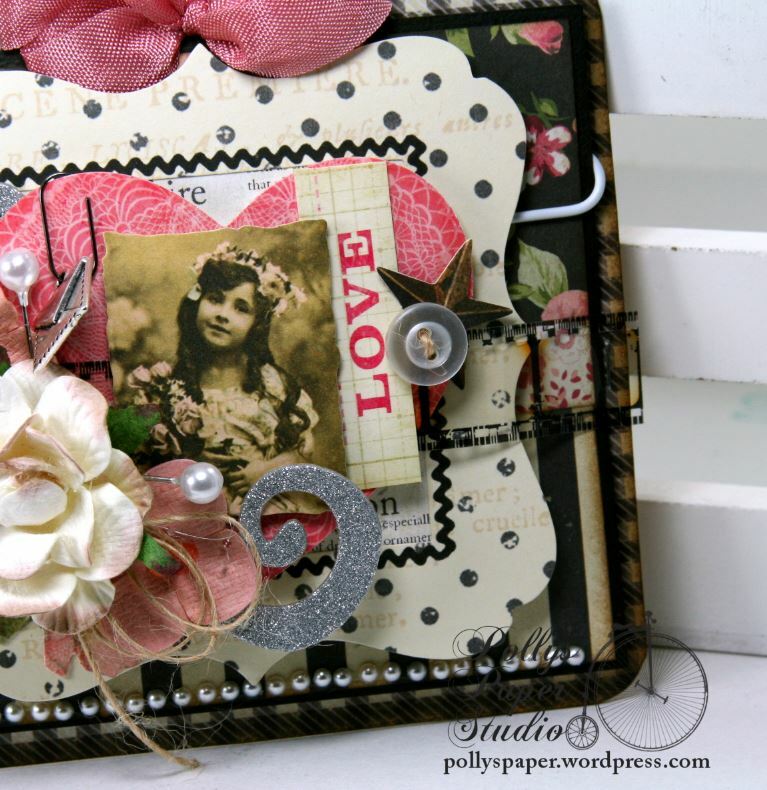 I’m working with the gorgeous Petaloo Blooms here as well as Off To the Races from Graphic 45. They are practically made to be together right???? Isn’t this a dreamy combination? 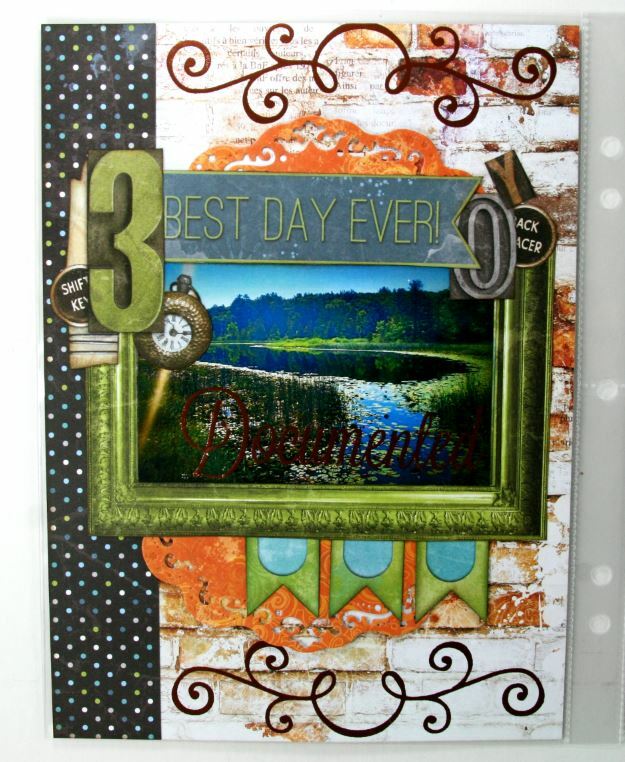 There are loads of layers of patterned papers here with a coordinating solid border to keep it from getting too busy. The inside is finished as well with coordinating papers. Adding spacers between the layers allows for extra room to tuck some of the blooms in for a more full arrangement. Little extras like the cheesecloth and seam binding bow and butterflies really adds a lot of detail. 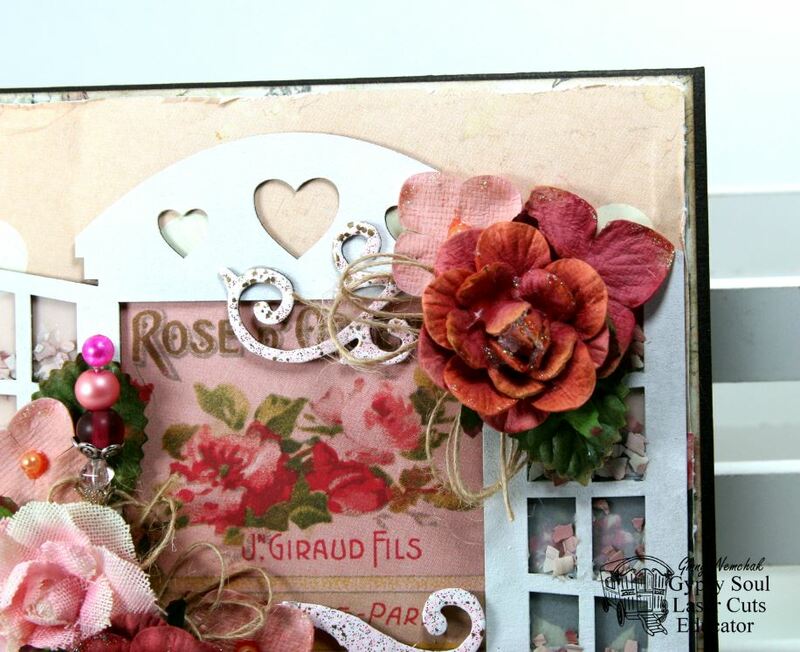 Chipboard altered with mixed media supplies creates the perfect frame for this oh so romantic couple. Well hello there peeps! Today is an exciting day for me to share a card I created especially to be displayed at Creativation. 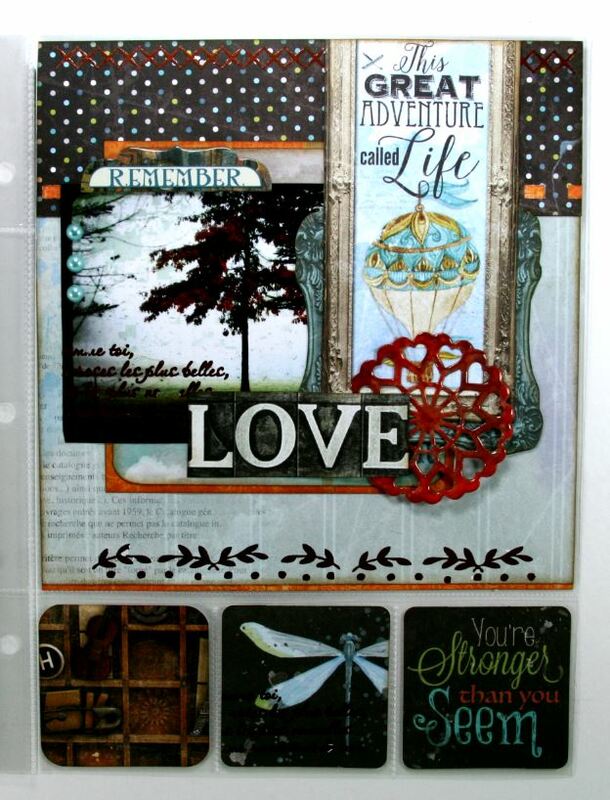 It’s got oodles of RRR trims and fun mixed media supplies. 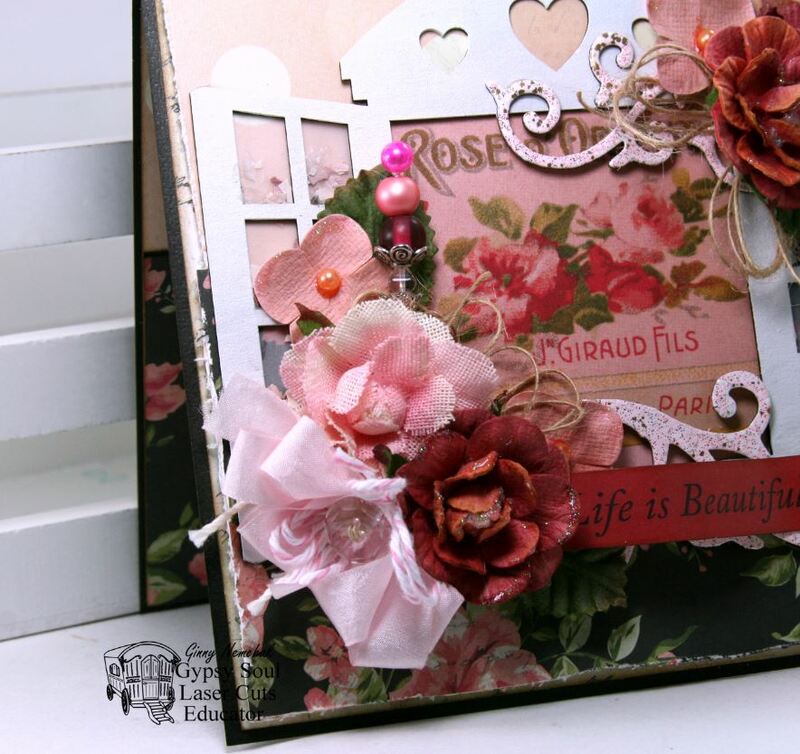 Nature Sketchbook from Graphic 45 and Petaloo flowers are the perfect combination with these gorgeous trims. I’ve created a nice border strip with the layered Black Plaid, and Satin Swiss Dots. I’ve also tucked in some loopy bows of Black Burlap String. 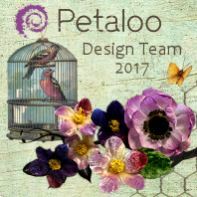 Petaloo~Darjeeling Collection – Floral Embellishments – Anenome – Cream , Darjeeling Collection – Floral Embellishments – Hydrangeas – Cream . Hey there Peeps! Happy Saturday to you. Soooooo lets talk about flip books. I mean it’s a book you can make and fill with all kinds of awesome tags and embellies. And decorate with flowers and ribbon. So that make them pretty much awesome right? The front cover has a super sweet chalkboard covered wooden heart with flowers and pearls and ribbon and twine and layered doilies. 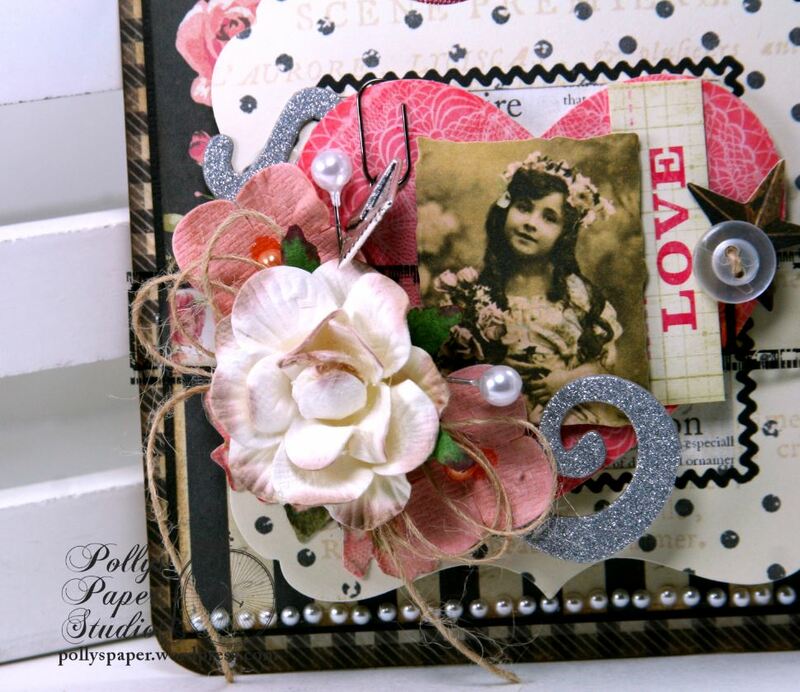 This set of pages has a cute vellum pocket, with clips and sweet eyelet topped banner tags. Pull out tags to tuck into the pockets. All the inside pages have flaps with picture-journaling spots so it can be filled with loads of special memories. 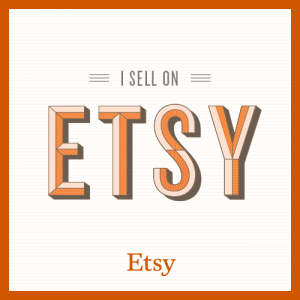 There are a select few kits available for this in the etsy shop…..you can hop on over and check out the details. Sorry for so few…most have been promised to some local peeps. Hey there Peeps! 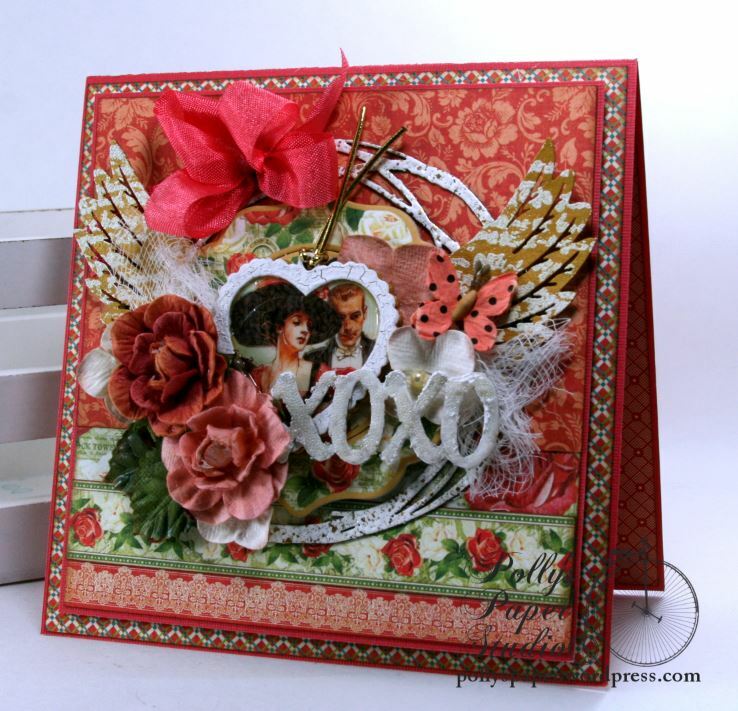 Ginny here to share a lovely and romantic styled greeting card I created with some sweet chippies and pretty patterned papers and flowers. 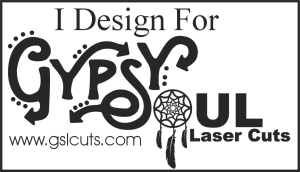 Here’s how I created the card…. 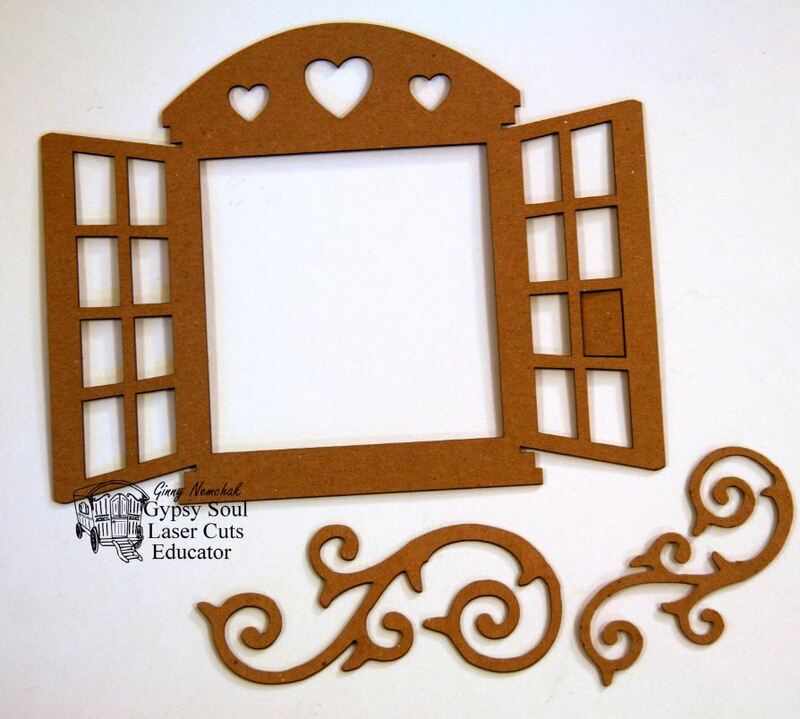 I selected these chippies because the window opening was just the perfect size to frame the image I chose from the patterned paper. Additional flourish pieces will be layered on top. I gave a base coat of flat white to all the pieces….even the ones I planned to finish with embossing. 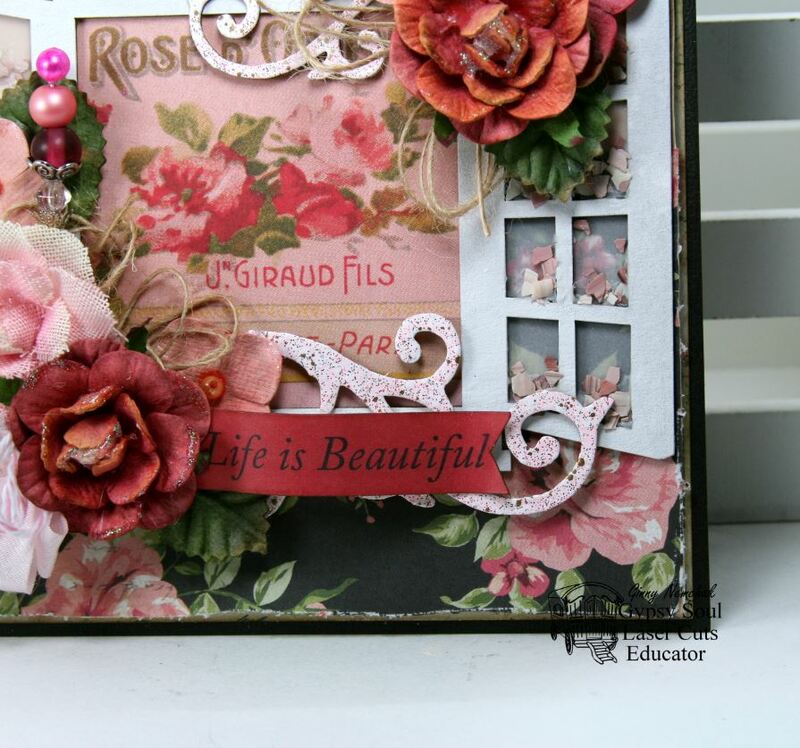 Once the flourishes were dry I added white embossing powder with flecks of pink and gold. After heat setting it’s a lovely shabby finish. 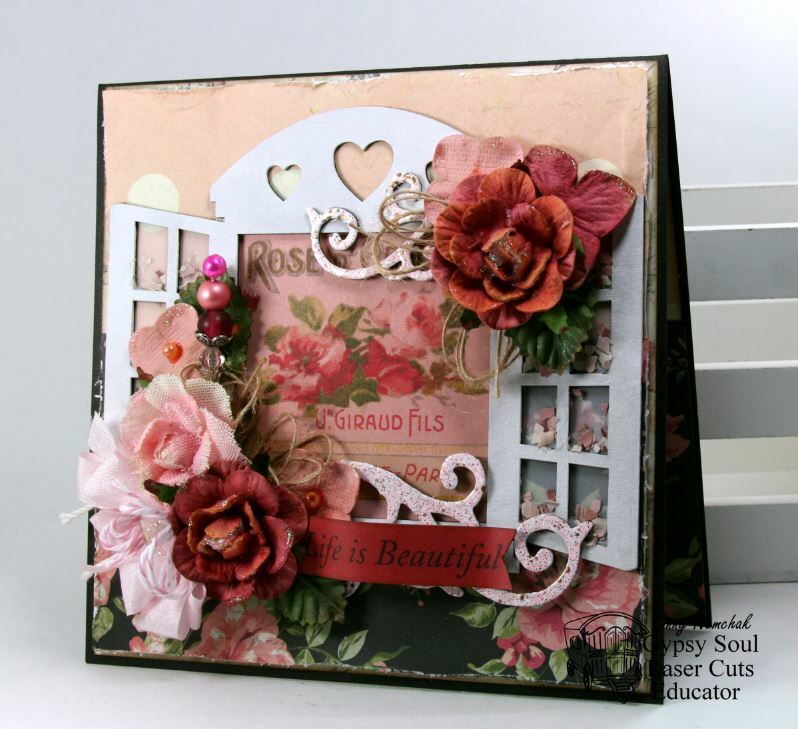 A layer of velum behind the window panes gives a sheer look and a base to add pink confetti for a faux shaker card look. Oodles of pretty coordinating flowers and ribbon trim. Sentiment banner layered over the larger flourish. You can never have too many flowers so I added a few here to balance the arrangement on the bottom. Small loopy twine bow to soften the corner. 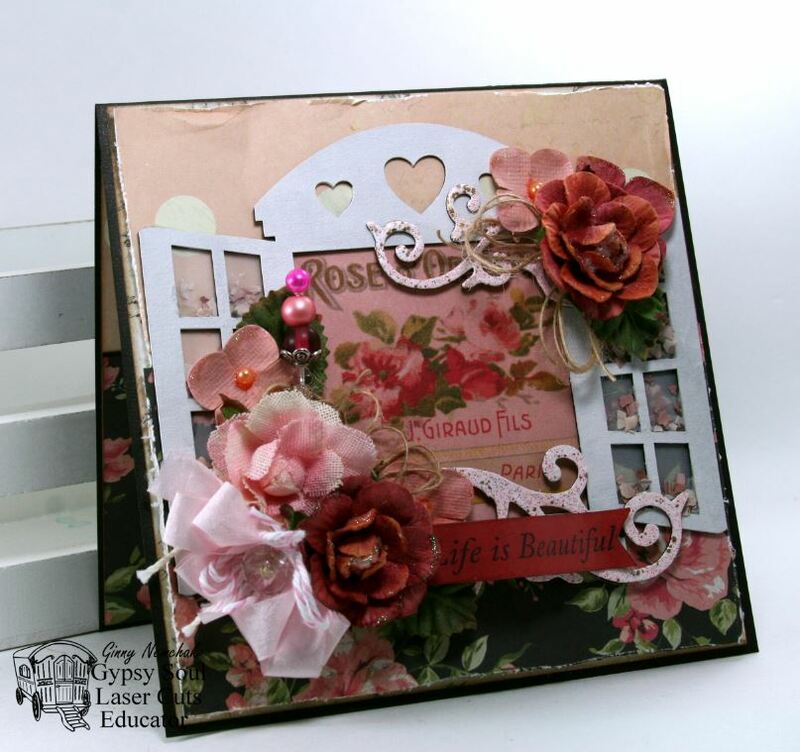 This card is available in the Etsy Shop…..Life Is Beautiful All Occasion Greeting Card. 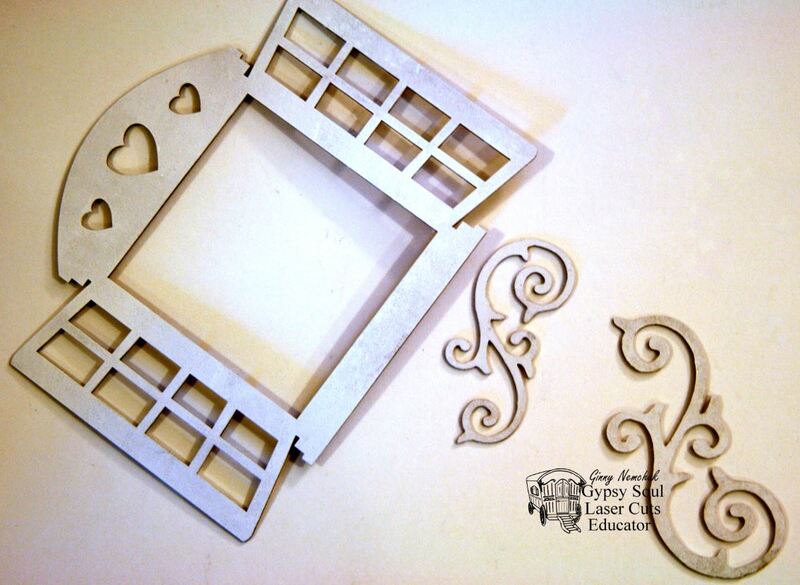 Gypsy Soul Laser Cut Supplies~ Cottage Window Large, Flourish Set Amanda. Really Reasonable Ribbon Supplies~ Pink Wrinkle Ribbon, Natural Burlap String, Bakers Twine Cotton Candy. 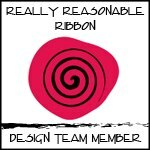 Hey there Peeps and welcome to another fun hop brought to you by the designers here at Really Reasonable Ribbon! 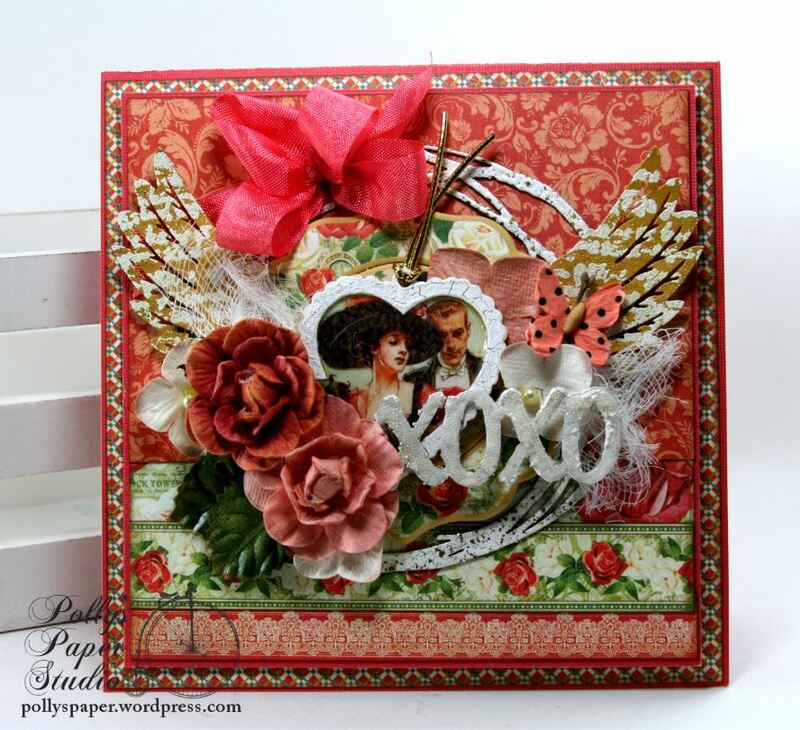 This time around we’re sharing the projects we created with the January Ribbon Club Assortment Sweetheart Mix. It really is sweet don’t you agree? You should be coming to me from my very dear friend Gloria. 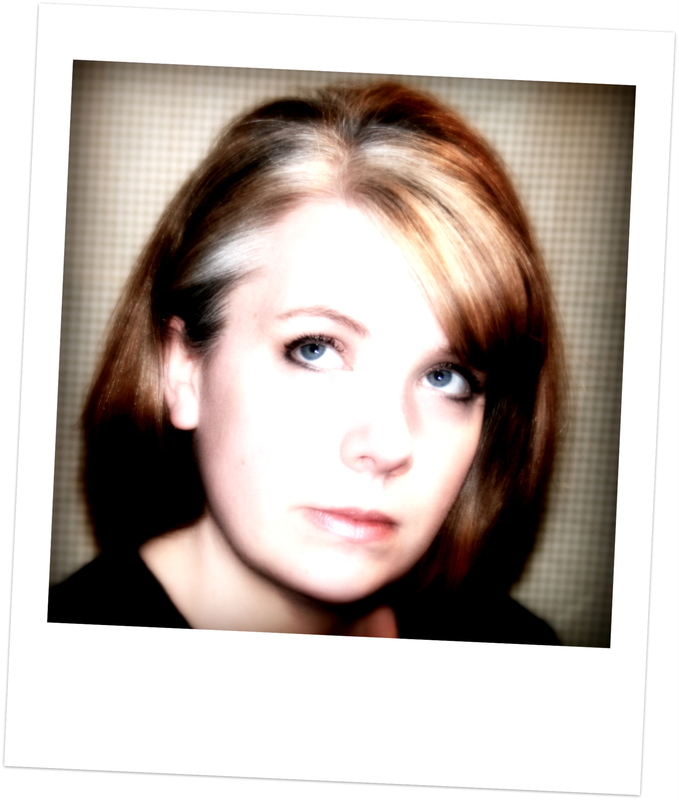 If you just joining in you’ll want to go to the RRR blog to start at the beginning. 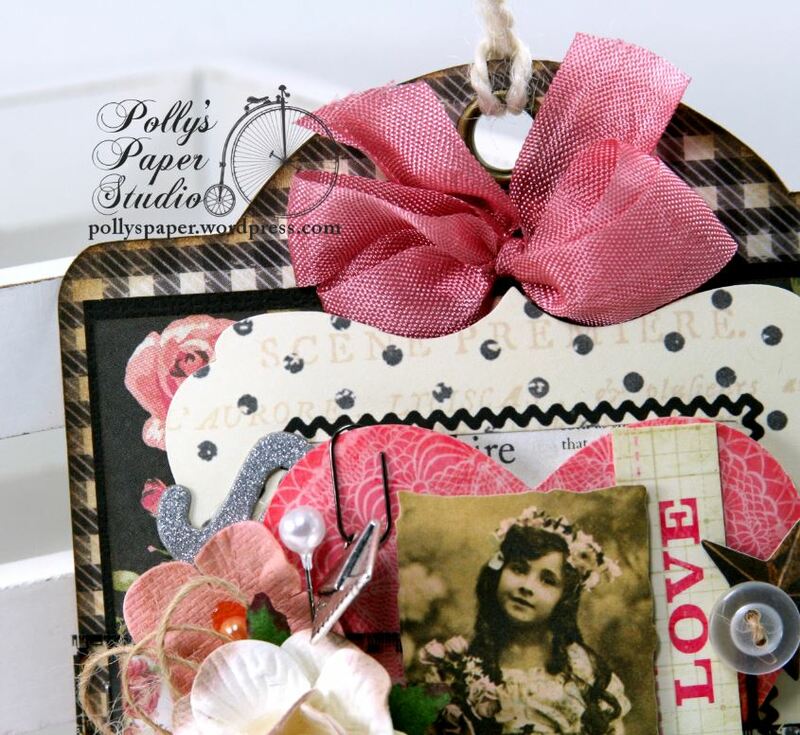 I created a Valentine Pocket for the simple matter that I loved all the ribbons and wanted to use them all. 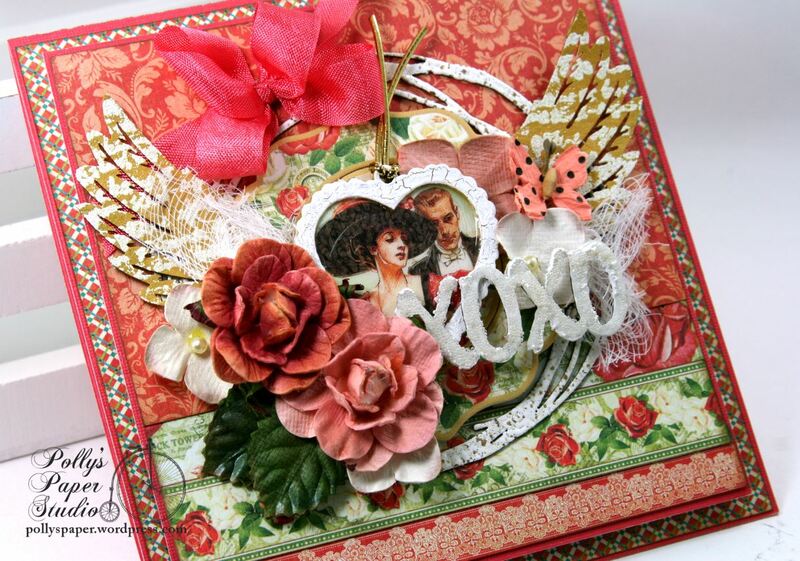 The tags feature my Schoolhouse Vintage Valentine Digital Collage Images and they are a perfect match to the ribbon assortment. 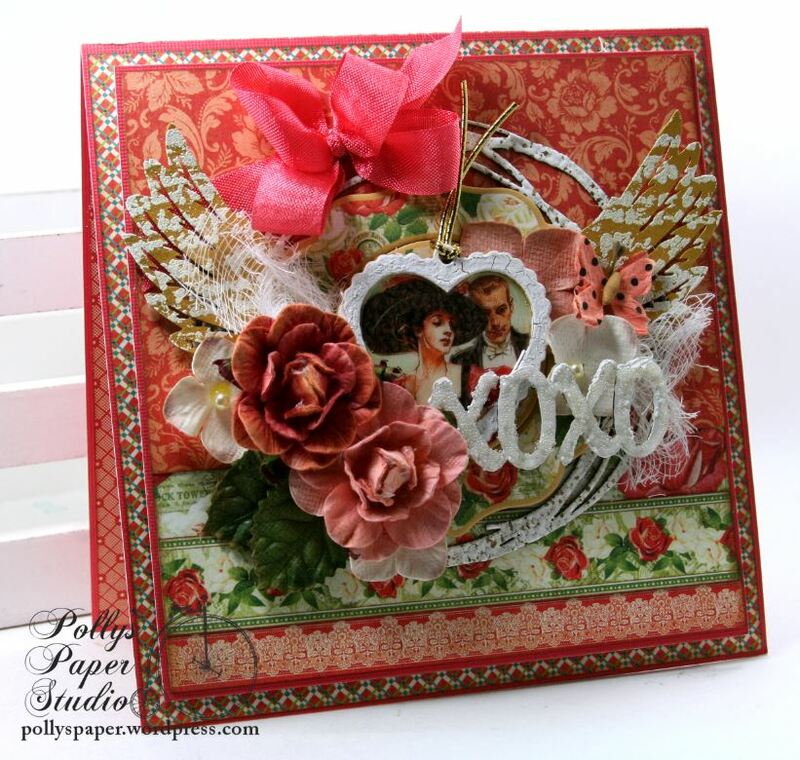 Polly’s Paper Studio Supplies~ Schoolhouse Vintage Valentine Digital Collage Sheet available for instant download so you can make a fabby Valentine project just like this one!